A photo booth is an invitation to fun for any of your customers who decide to give it a try. 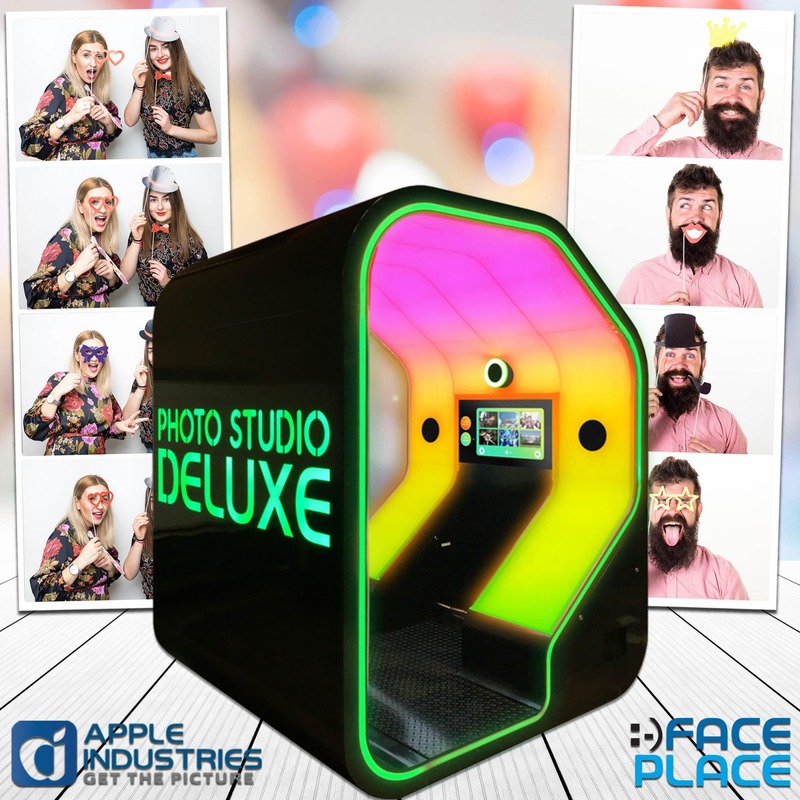 A Face Place photo booth offers Smile 2.0 editing software which can allow your customers to dress up their photos in many different ways. But you can add even more fun to your photo booth by including some props for your customers to use when taking their pictures. Not only are props fun to use when taking pictures, they also make the end result more fun to look at. Always make sure you have seasonal props on hand for your customers. During some seasons such as Christmas and Halloween, you can offer your customers the option of buying the inexpensive props you put out for people to use. Always keep your props organized in a way that makes it easy for customers to find exactly what they want. While you want to offer props to your customers, you might want to give them the option of making their own props as well. Once a month, you can set up a day where customers are invited to bring in their own props to use in pictures. You might even offer a prop making workshop where customers pay a small fee to make their own props to use in your photo booth. Christmas in July is becoming a very popular gimmick for retailers online, on television, and in brick and mortar stores. While you should beef up your prop inventory for seasonal times of year, you should always have props available for every season all year long. When customers come into your business looking to take Christmas or Halloween pictures in August, you will collect repeat business when they find that your photo booth props are ready all year round. There are standard props photo booth owners get for seasons such as Christmas and Thanksgiving that everyone expects to see. If you want to increase your photo booth business, then try to find different props that people would never expect. Remember that the props you use have to fit into your photo booth, but that should not stop you from being creative and finding props that are not common. The most important aspect of offering props for your photo booth is to have fun with it. Don’t be afraid to experiment with different props and definitely get input from your customers on which props they would like to see. A photo booth can be the center of attention in your business if you use it properly. By adding fun props to your photo booth, you can bring in customers all year round who want to take pictures that they cannot take anywhere else.